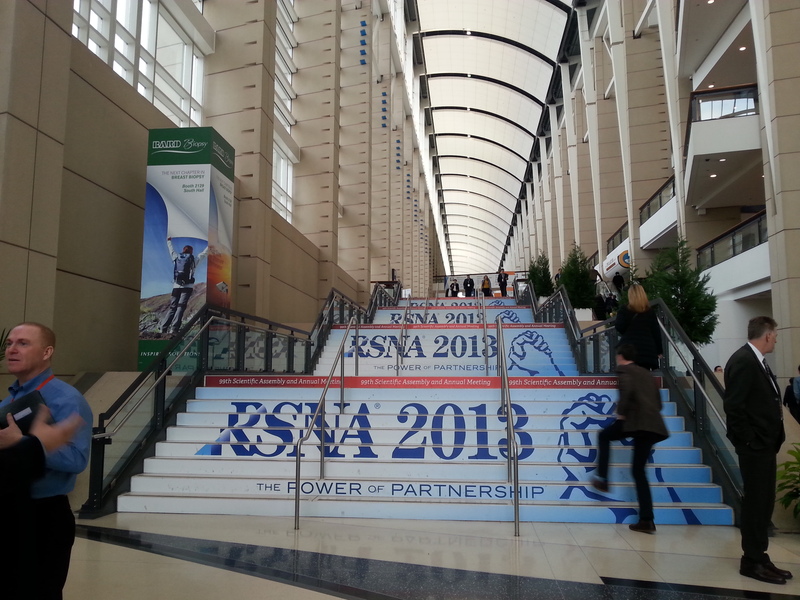 Sophia Anderton, BIR’s Head of Publishing reflects on a week of diversity and partnership at RSNA 2013 in Chicago. They say Chicago’s the windy city, but last week it was more like the freezing metropolis! Fresh back from RSNA, one of the world’s largest medical conferences, boasting more than 30,000 delegates, I’m reflecting on not only the scale but also the diversity within radiology and its allied sciences. The sheer size of the event—so many people gathered together all for the sake of radiology—but also the variety of different disciplines represented were inspiring to say the least. I wonder what Wilhelm Röntgen would have thought of it all?! The BIR had a stand in a prime location on Publishers’ row so I was lucky enough to meet with a vast array of different people from around the world, working in diverse disciplines across the field (consultant radiologists, trainees/residents, radiographers, physicists, students and representatives from manufacturers). Everyone had a different story to tell. 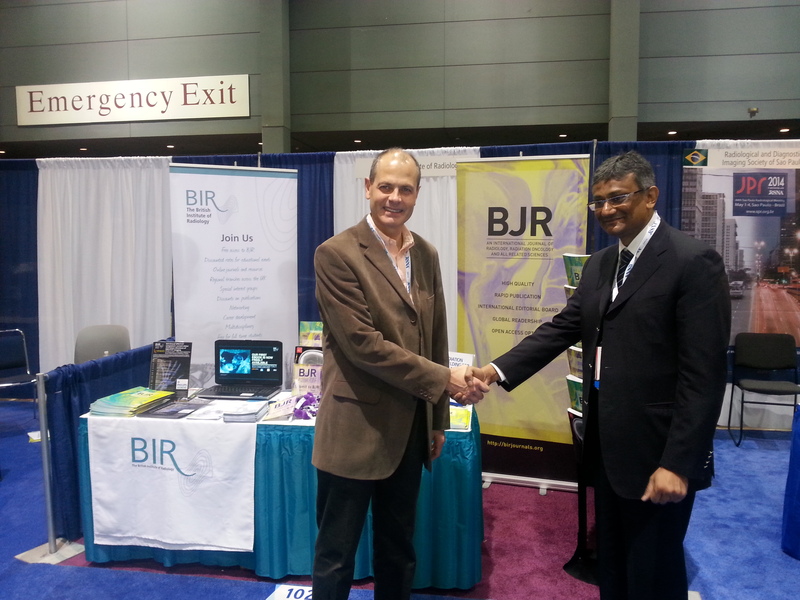 There was great interest in both the BIR and BJR; we were giving away free copies of Best of BJR, highlighting some of the best articles from the last year (they’re all free to download to all until the end of the year at http://bit.ly/1f7GT0c). What really caught people’s attention was our interdisciplinary ethos. As a society and journal uniquely covering all disciplines relating to radiology, there really is something for everybody. 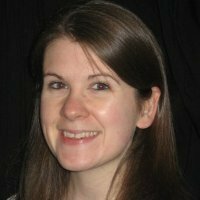 We now offer an international membership package and it was a real joy seeing people realise that the BIR could really be for them, and we look forward to working with lots of new people in the future. With so many people, societies and companies represented, the BIR took the opportunity to make contact with as many of them as possible. For some it was the start of a new relationship, but for others it was an opportunity to reacquaint themselves with long-standing connections. One of the BIR’s newest partnerships is with Health Management (http://healthmanagement.org/) which will be available free of charge to all BIR members from 2014. Look out for the interview with our President, Andrew Jones, early in the new year. 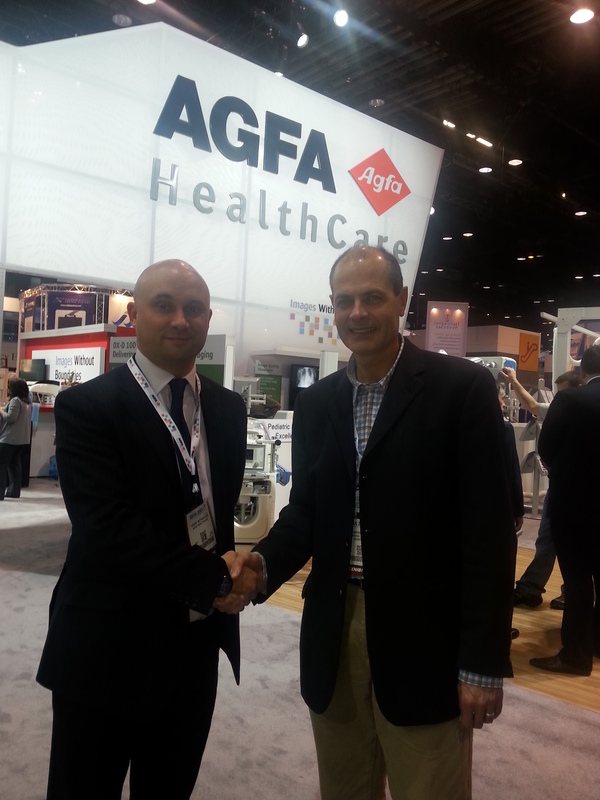 RSNA’s key theme this year was The Power of Partnership and I think that really sums up what I was hearing last week. Working together with energy, vigour and strength to have an influence on the radiological sciences is an important message. 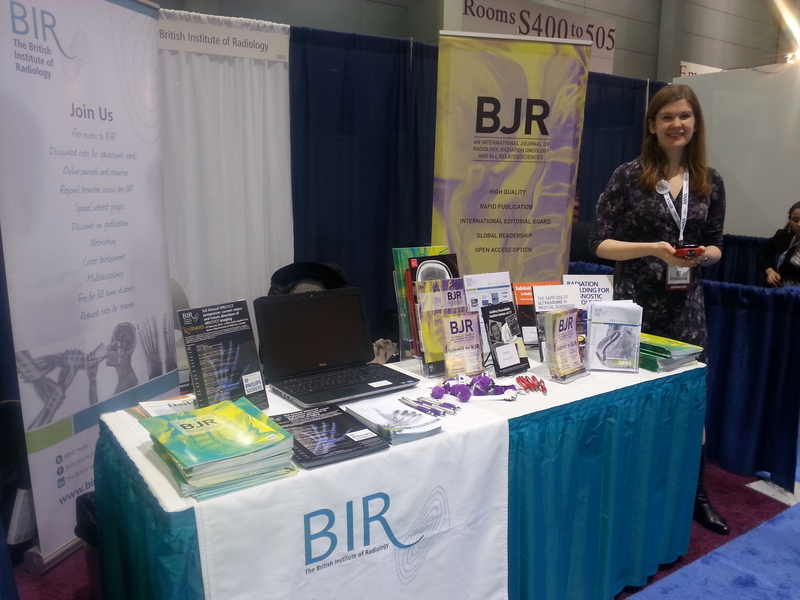 In distributing over 1,400 copies of Best of BJR and talking to even more people about publishing, education, events and membership, the BIR is doing its part in promoting the influence and diversity of radiology. I’m now looking forward to next year and the centenary meeting of the RSNA. Posted on December 17, 2013 by birblog2013. This entry was posted in Uncategorized and tagged BIR, Chicago, Medicine, Publishing, Radiological Society of North America, radiology, RSNA, Wilhelm Röntgen. Bookmark the permalink.